Miso Dressing Salad and Pork and Tomato Miso Saute (top). Miso Rice and Miso Soup (bottom). 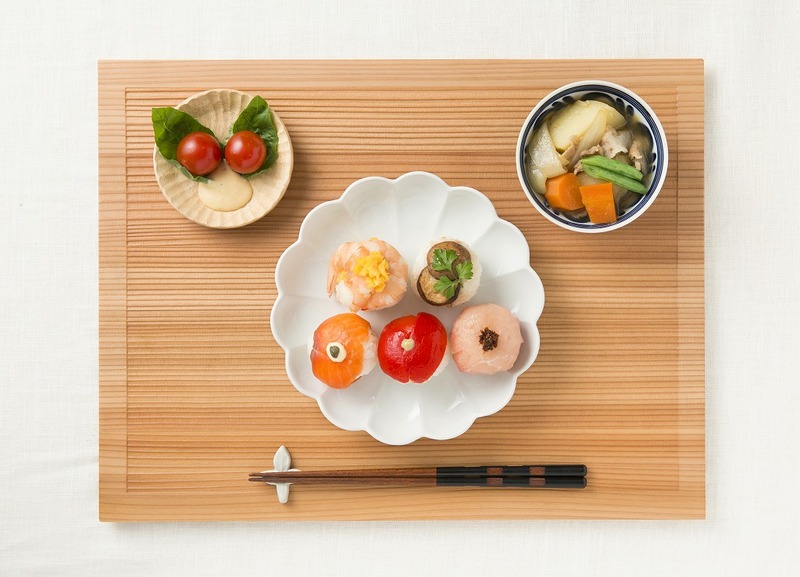 This six-class course is intended for those with little or no knowledge of the basics of Japanese cooking. 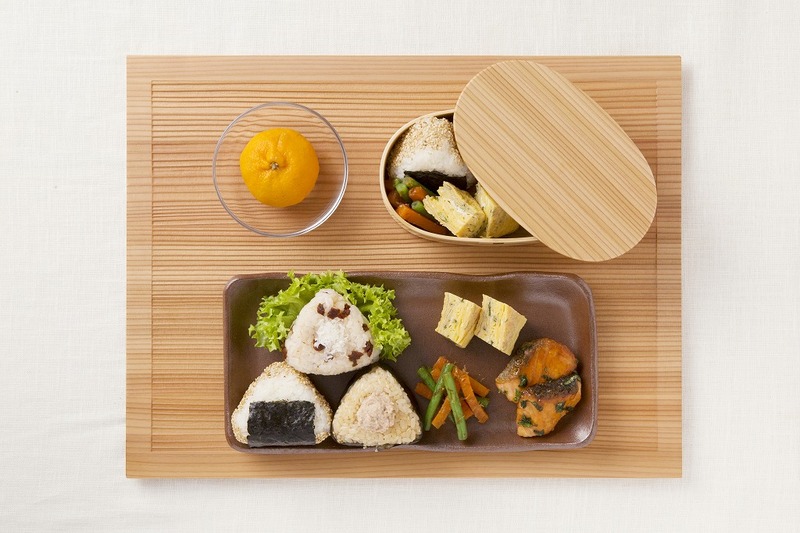 It will cover all of the basics of cooking Japanese home-style meals. Each class will consist of a discussion about the history, and nutritional and culinary aspects, of the given topic, and instruction in the preparation of related dishes. 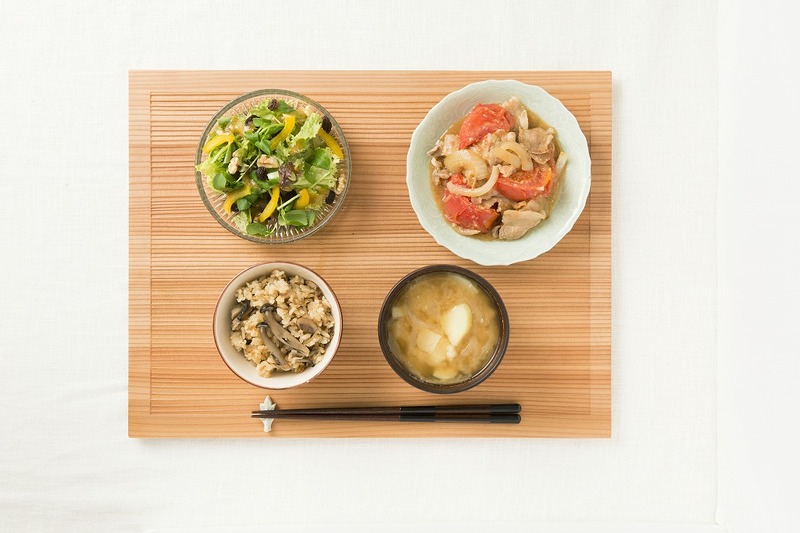 Class 1: April 26, 12:00 noon Basics of Miso, with actual preparation of miso, miso soup, and miso dishes. Class 2: April 26, 5:00PM Basics of Soy Sauce, with preparation of dishes using soy sauce. 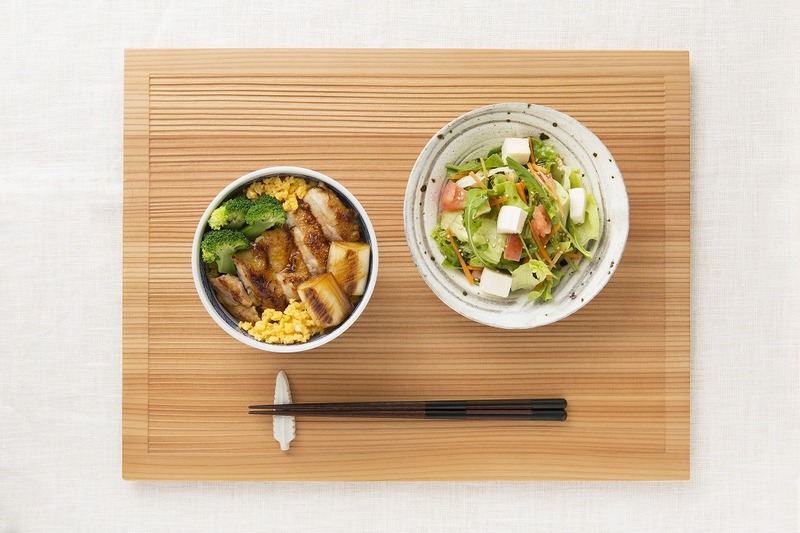 In this class you’re going to cook Chicken Teriyaki-don and Salad with Soy Sauce Dressing and taste different type of soy sauce. 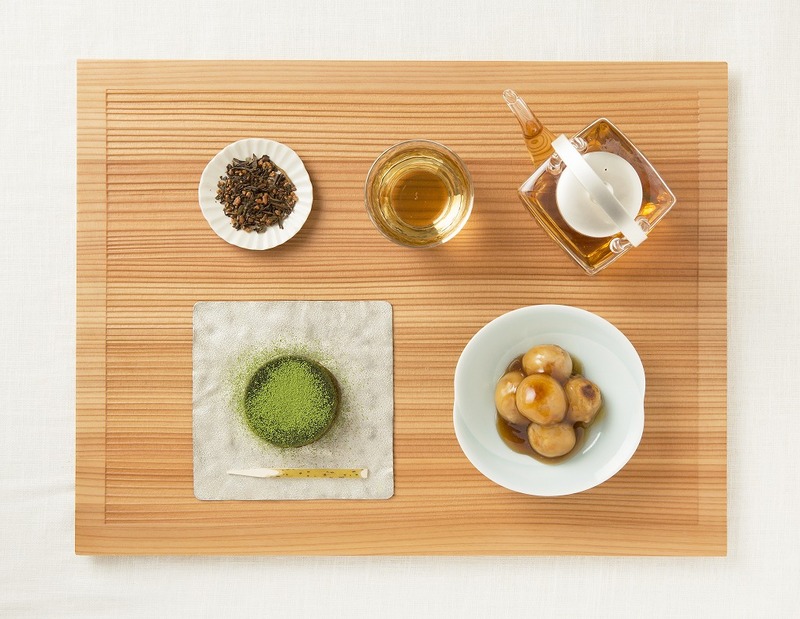 Class 3: May 9, 12 noon Basics of Tea and Traditional Japanese Sweets, with preparation of traditional Japanese sweets, a dessert made with green tea, and instruction in how to prepare Japanese tea. Class 4: May 9, 5:00PM Basics of Key Seasonings, with preparation of dishes using the key seasonings including temarizushi. 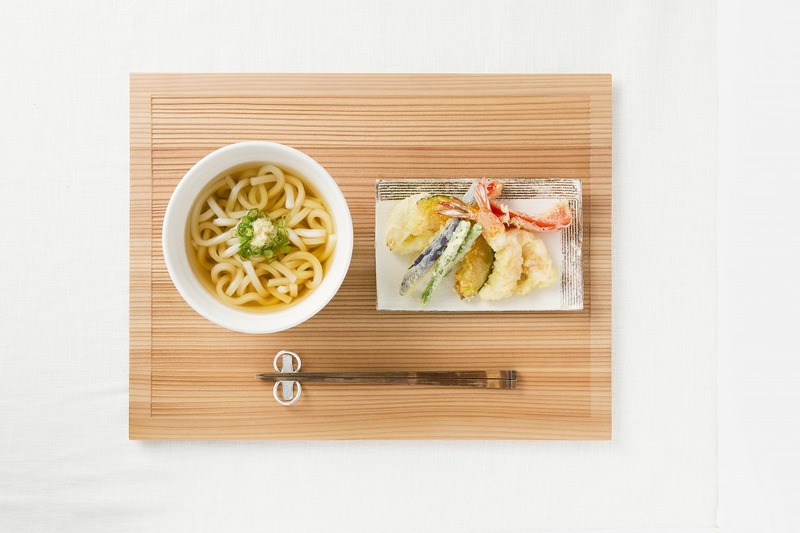 Class 5: May 16, 12:00 noon Basics of Soup Stock, with instruction in how to prepare soup stock, dishes made with soup stock, and make tempura udon from scratch. Class 6: May 16, 5:00PM Basics of Rice, with instruction in how to cook rice, and prepare dishes, including onigiri, and make obento. Location: Class 1-4 will be held in Yanaka (Taito-ku) at a location convenient to both the Chiyoda Subway Line and the JR Yamanote Line. Details will be provided to those who register for the class.